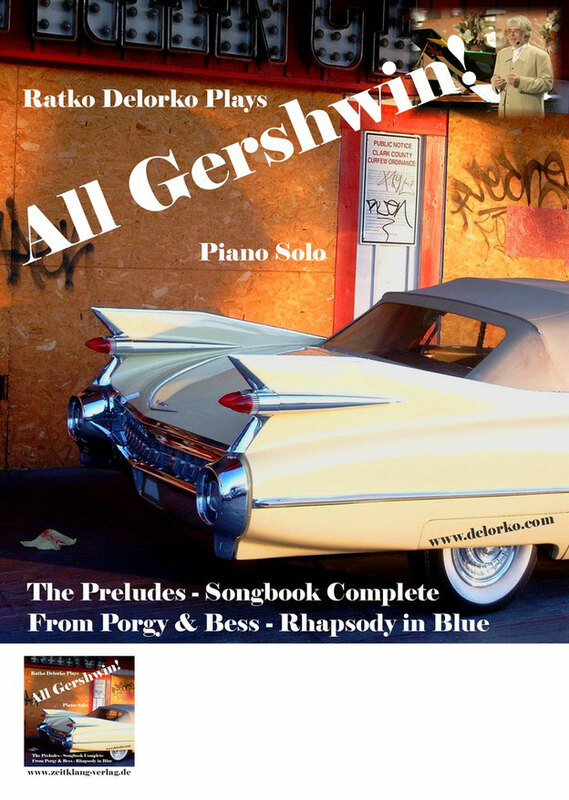 All Gershwin - Ratko Delorko - Pianist, Composer, Educator. Please scroll down for a video sample - Teatro di Messina, piano solo and with Tony Liotta at Liotta Studios. The virtuoso piano oeuvre of the American composer. A dazzling performance with the most famous pieces and hits from his revues and musicals. Performed and presented by Ratko Delorko. The version of the Rhapsody usually performed today, for one piano, is of necessitiy much reduced. When Gershwin recorded the piece for player piano, he amplified certain points in a kind of overdubbing process. Out of the original, two-piano score, Ratko Delorko has created a new one for one pianist. This presents all the themes, so remaining as true to the original as possible and, in its sheer orchestral virtuosity, even excelling the impetus of the symphonic version. The Songbook of 1932 surprisingly offered no fixed improvisations for the advanced player. It is an astounding metamorphosis from which the ‘seriousness’ of Gershwin’s voice as a composer rings true and clear.